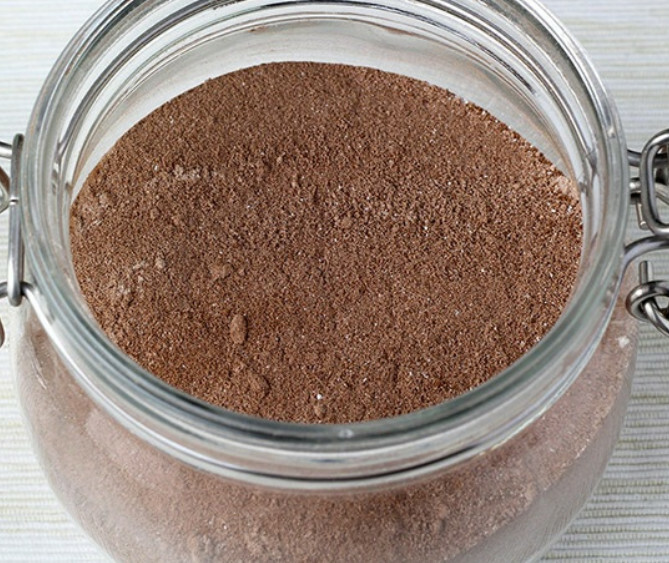 Get ready for winter by making your own Protein Hot Cocoa Mix. Combine ingredients and sift them a little. Add the PB2 only if you want a chocolate – peanut butter cocoa. Store in a sealed jar or container. Add 2 heaping tablespoons to every 6 ounces of water or milk, your choice of type including unsweetened almond milk. Mix well. You can also mix 6 oz. of a prepared Protein Hot Cocoa drink with 6 oz. of black coffee to rival the over-priced and calorie-laden drinks sold in popular brick-and-mortar coffee stores.